The logistics industry and Brexit – what’s next? With only a few weeks to go until the Brexit deadline, parliament has just voted against the only Brexit deal we have on the table. So we are none-the-wiser about what lies ahead. That’s why we’ve written up a quick recap of the current possible scenarios along with the available guidance, reminders of the most recent proposals, and actions to take now in preparation for each scenario. The Chequers deal proposed to see the UK maintaining a close relationship with the EU in certain aspects and a completely separated relationship in other aspects. However, perhaps one of the most troubling issues with Chequers was that we’d be following the EU’s rules within the areas we maintain a close relationship, but have absolutely zero influence over them – a big change from the current situation where the UK has a strong voice in the way the EU operates. However today, 15th January 2019, the MPs voted against chequers, which proposed very little change with regards to trade, but didn’t deliver enough for politicians in the UK. Released on 6th July 2018, the Chequers Statement from the Government summarised a proposed deal with free trade movement very much at the heart of the matter. The UK and the EU would maintain a common rulebook for all goods including agri-food, with the UK making an upfront choice to commit by treaty to ongoing harmonisation with EU rules on goods, covering only those necessary to provide for frictionless trade at the border. The UK and the EU would ensure a fair trading environment by incorporating strong reciprocal commitments related to open and fair trade into the legal agreements that define the future relationship. The UK and the EU would work together on the phased introduction of a new Facilitated Customs Arrangement that would remove the need for customs checks and controls between the UK and the EU as if a combined customs territory. The UK would apply the UK’s tariffs and trade policy for goods intended for the UK, and the EU’s tariffs and trade policy for goods intended for the EU. Will a possible amended chequers deal emerge over the coming weeks, it’s possible, but with the EU stating they are done negotiating it is a less likely scenario. Theoretically Chequers – or a Chequers-like deal – would mean little disruption to our industry, particularly with respect to your pallet supply. However the knock-on effects of any Brexit are what we’d need to keep an eye on, particularly The Timber Crisis. The UK imports most of its timber from the EU, and particularly from Latvia. While the Chequres deal would have meant we can still import our timber, any additional factors that are already putting strain on our timber supply would be magnified. These factors included extra tariffs, competition from expanding markets inside the EU and Asia, and demand for the product pushing prices higher. In July 2018 we all breathed a sigh of relief when it looked like there was a deal on the table, so attention turned away from a no-deal scenario and towards the Chequers Deal that PM May and her team had put together. However as of today we’re back to preparing for a no-deal, which is certainly the most threatening to our industry. Be prepared for the worst-case scenario but hope for the best. As we all understand now, no-deal means we’ll be forced out of the EU completely, becoming a ‘third country’ and needing to arrange trade deals and tariffs with countries around the world, as well as our most important ‘customers’, the EU itself. Yes we would default to WTO trade tariffs, but they are far from what we’re used to now. The no-deal scenario will mean that the logistics industry will be severely disrupted, as most of our goods are imported from the EU. UK hauliers would be allowed to move goods between the UK and EU member states until 31 December 2019 (in either direction). Remember that with a no-deal, the UK would become a ‘third country’ and therefore all wooden packaging materials would need to be heat treated and stamped. 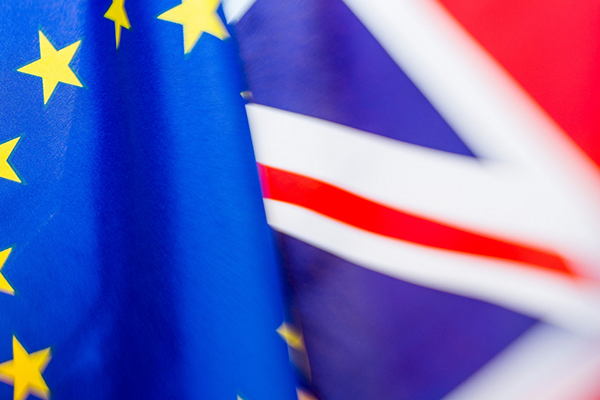 Read our blog to find out more about managing heat treatment requirements in the event of a no-deal Brexit. Keep an eye on RHA guidance in the coming weeks, as it is regularly updated, and includes a handy operator checklist (here’s a link to v2). On the 10th December 2018 the European Court of Justice ruled that the UK could unilaterally revoke Article 50 and remain in the EU. Even as late as this, we could back out of Brexit and continue as an EU member without any legal repercussions from the EU. However this is still an unlikely scenario, even in light of today’s record result in Parliament. While we await the vote of no confidence tomorrow, we turn our attention to the other political parties: Labour who have promised to go ahead with Brexit one way or another or Lib Dem who want to have a second referendum on Brexit. It is still a possibility, though. And would require no preparations or disruptions to our side, except any disruptions that may already have come into play, such as if a business has already decided to relocate to an EU country. That’s right, there is a fourth possibility which may occur in the short term. The fourth scenario sees an extended Brexit, which could be the most likely situation with time running out and neither the UK or the EU wanting a messy divorce situation. This fourth scenario could be exactly what we need at this point to give both sides more time to prepare and negotiate. While this is somewhat unlikely, the EU hold the power to extend the deadline for Article 50, and they’ve declared that they are not willing to extend negotiations. However, we’ve already seen some preparations for the extension of more specific deadlines (eg: the EC legislation to allow hauliers free movement until 2019), and as the pressure mounts, will the EU change its mind? Especially in light of a possible general election on the horizon in the UK. Remember to prepare your no-deal plans and keep a close eye on developments. Keep close contact with supply chain partners and be prepared to make changes in 2019.